Jeff Kober is an actor/author who has spent much of the last 35 years studying metaphysics and meditation here in the US as well as in India. In this show, our conversation travels through a variety of topics, including Vedic meditation, the ego and the relationship between money and spirituality. This past year, I’ve picked up a daily meditation practice that has had profound impacts in my life, so it was exciting to talk to someone with 14 years of consistent daily meditation! I had such a great time speaking with Jeff whose authenticity and grounded-ness shine through in this interview. Enjoy, and let this inspire you to delve into the world of meditation if you have not already! What does 14 years of meditation practice look like? Check out The Dirt at SurThrival here! Actor/author Jeff Kober has spent much of the last 35 years studying metaphysics and meditation here in the US as well as in India. Since 2007, he has taught the technique of Vedic Meditation from his center in Los Angeles as well as in New York, Seattle, Chicago, Montana, Mexico City and Chihuahua, and in India. 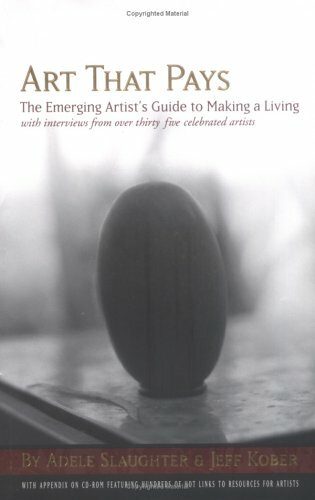 With his co-author Adele Slaughter, Jeff wrote Art That Pays: The Emerging Artist's Guide to Making a Living. For the past five years he has written a Daily Thought about meditation and consciousness that he sends out to subscribers and which he is in the process of organizing into the form of a book. He currently is working on Correcting the Intellect: Discovering and Changing the Stories We Tell Ourselves. In his day job, Jeff is an actor, appearing most recently with recurring roles in The Walking Dead, Sons of Anarchy and The New Girl. He next will be seen in Clint Eastwood’s upcoming film, the Untitled Sully Sullenberger Project.